Marita`s kort : Kort til en gutt! Motivet er fra Tikcled Pink Stamps og er fargelagt med Copic! This is a fabulous male card! Love all the embellishments! Det var både stilig og tøft, kule farger og pynt og, ikke minst, flott fargelagt! Å, så stilig guttekort!!! Kjempefine detaljer!! utrolig tøft og annerledes guttekort. Great card - I love that image. What an awesome male card. I love the image and the colours are great. The lovely embellishments finish it off a treat. 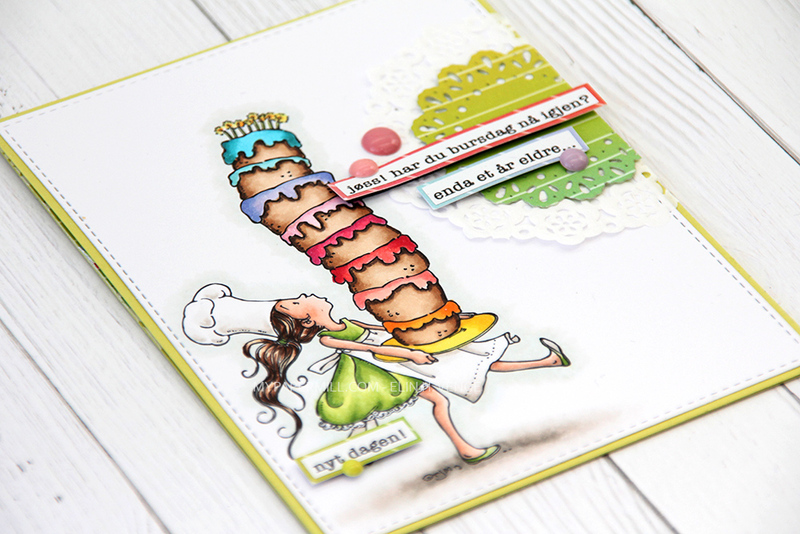 Thank you so much for sharing it with us at Paper Crafting Journey. Gorgeous card!! Great theme with the playing cards! !